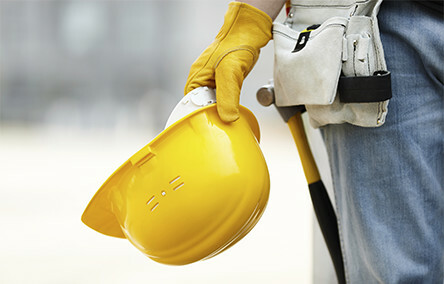 CCS Construction Staffing is always looking for good people, and you can help! Our experience has shown that new hires who come into our company through employee referrals are excellent contributors, stay with the company longer, and are great employees. That is where you come in! If you know someone who would be a great addition to CCS Construction Staffing, please send us their info using the form below. If you refer an employee who works 250 hours for CCS Construction Staffing, then you will receive a $150.00 referral bonus paid out by check and the employee you referred will receive $100.00 (see terms below). • All referred employees must work 250 hours for the referring employee to be awarded the bonus. • The referring employee will receive $150 dollars and the referred employee will receive $100 dollars. • To be eligible for the bonus, the referrals MUST be submitted through the referral form. • The hiring of a referred employee must occur within 3 months of the initial referral date. • The referral must represent the candidate’s first contact with CCS Construction Staffing. Current or former employees of CCS are not eligible candidates for referral bonuses. • The first employee to refer a candidate will be the only referring employee eligible for the bonus. • Only candidates who meet the qualifications for the open position(s) will be considered. • All candidates will be evaluated for employment consistent with CCS Construction Staffing policies and procedures. • Any disputes or interpretations of the program will be handled through CCS management. • All referral bonus payments will be paid within 2 weeks after the referred employee works over 250 hours. • Normal payroll withholdings will be withheld accordingly from all payments.